Wooden plugs are a special type of jewelry worn on the ears and they are flared on one end while the other has no flare. They come in various shapes and designs and the best thing is that you can have a custom made design for you. This will set you apart from the rest because wood is an organic material that is definitely unique when used on an ornament. Therefore it will perfectly stress your individual personality and it is the perfect material to manufacture tunnel jewelry out of it. The other advantage of wooden plugs is that they are light in weight and even though sizes as big as 50mm are available, this particular factor ensures that such a size will not be a burden on your ears. They also come in various colors and you can find wooden plugs with a color that complements the tone of your skin or the color on your attire. This adds to the advantages of wooden ear plugs as well. If you lead a sustainable lifestyle, in which case you are very conscious of your expenditure, then, this will be a great option for you. On the other hand, for those leading a vegan lifestyle, would not be willing to go for varieties made from animal products hence making wooden plugs a great option for them as well. Another beautiful natural material to make jewelry out of it is horn. It also has a natural grain which makes any piece of tunnel jewelry unique. Horn and bone tunnels and plugs are available in various colours but most people prefer the classic natural colour without any additional varnishing. No matter if you prefer woden, bone or horn tunnels and plugs. 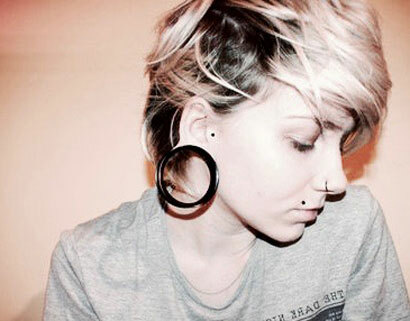 Here at flesh-tunnel-shop.com you can buy them in various styles. Get your favourite one now. Organic materials continuously climb the ladder of best selling plugs. The many advantages of wood, horn or bone speak plainly and should be considered for anybody interested in outstanding wearing experiences. Therefore we are devoted to constantly provide you with a wide range of qualitative plugs made of several woods, horn and bones. Especially the selection of woods shows the individual characteristics wood can cover. Whether you are into black-hued Areng wood or ivory coloured crocodile wood ? nearly any taste is displayed on Flesh Tunnel Shop. Wooden ear plugs go up to 50mm in diameter. A light weighted material like wood can be easily worn even at this size. Please consider the organic origin; making each piece is one-of-a-kind. Horn as a diversely processible good can be turned into many extraordinary shapes like triangles or squares.